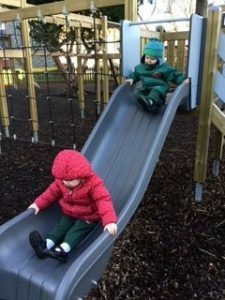 It is hard to believe that the Nursery has now been open for a complete year and it has been an absolute delight to welcome so many little ones into Fairstead House. 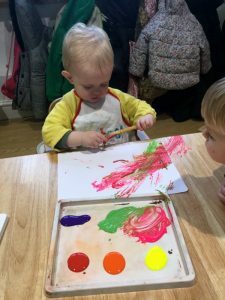 We hope that the introduction of a fortnightly Nursery Newsletter will give you a flavour of what is happening across the three year groups and to let you know of upcoming events. One date for your diaries is the very popular Fairstead House Summer Ball, which this year will take place on Friday 11th May at the Bedford Lodge Hotel. Further details on tickets for the Ball will follow. I look forward to seeing many of you there! This month we have welcomed lots of new faces to the Foals 1 room. Everyone is settling in well and making new friends. 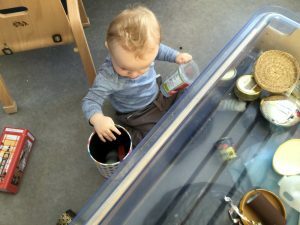 In the sensory tray they have been exploring ‘Heuristic Play’ using everyday objects such as tins, tubs, pegs and curtain rings. 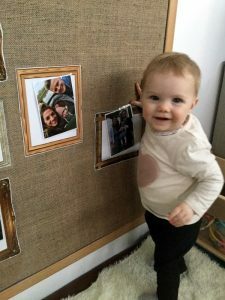 Our Family Photo display is filling up and the children enjoy looking at, sharing and babbling about their family photos with each other. If you haven’t sent yours yet, please do! Foals 2 have loved their painting experience of using spaghetti with softened ends, as paint brushes. 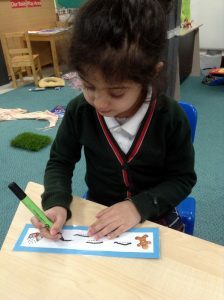 It made lovely marks on the paper, with added effects to the pictures of small broken pieces of spaghetti! 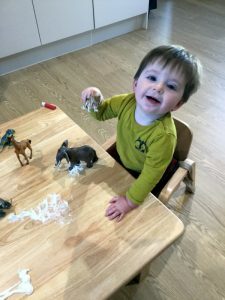 Foals 2 have also been enjoying imaginative play with the animals and shaving foam. 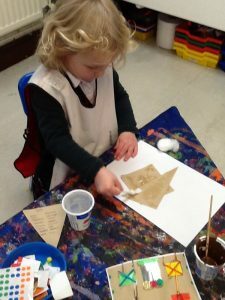 They especially relished making the animals stomp through the shaving foam, making different prints and marks! The Yearlings have been busy welcoming new friends into the Room. They have been enjoying role play in the kitchen and cooking meals for each other. 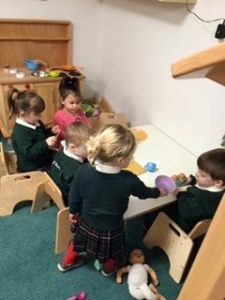 The children like sitting down and pretending to eat as nicely as they do at mealtimes in the Nursery. 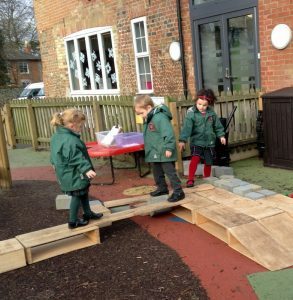 The Yearlings have also been exploring the big playground; they particularly enjoyed the big slide and are very good at climbing up the steps! The children could also see the strings of horses walking past from the big playground which was very exciting. As part of this term’s topic ‘Once Upon a Time’, the children have been making their own gingerbread houses for our classroom display. Please make sure that you come and have a look! 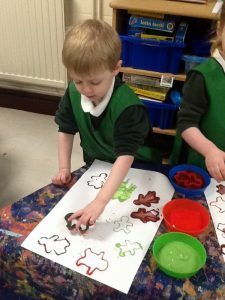 The Ponies have been exploring printing and colour mixing, while using gingerbread people cutters, creating vibrant and imaginative patterns on paper. A reminder to parents that the children in the Yearlings and Ponies Room are required to wear uniform. Uniform may be purchased from our uniform shop, Mr Cricket or online at www.fairsteadhouseuniformshop.co.uk Please ensure that all your child’s uniform is clearly named, including shoes! If you have not yet received login information on how to access Tapestry, our online communication system, then please do contact your child’s Room Leader. If your child attends Fairstead House on a term time only basis, please find our term dates here. 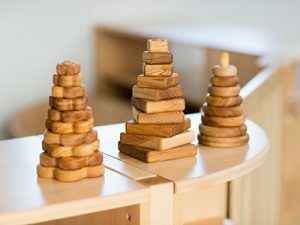 Please note that this year the Nursery will be closed from 6pm on Friday 21st December and will re-open on Wednesday 2nd January 2019. If your child has had sickness and/or an upset tummy, please do not send your child to Nursery until 48 hours have passed since their last bout of illness. Just a reminder that ‘Two Years Progress Checks’ are due for children aged between 24 and 36 months. Please do make Nursery staff aware of the date of your child’s Progress Check. 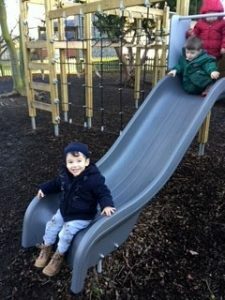 I hope you have found this Nursery Newsletter useful. 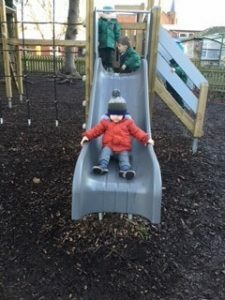 I would also like to draw your attention to Fairstead House School’s weekly newsletter, which can be found on the school website here, and the exciting adventures which lie ahead for your children.